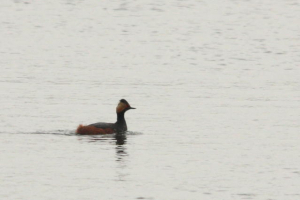 Observation - Grebe with black neck - UK and Ireland. Description: These are usually dots on the far side of the reservoir, typically the day when there is no useful light for photography one comes in close. These are usually dots on the far side of the reservoir, typically the day when there is no useful light for photography one comes in close.